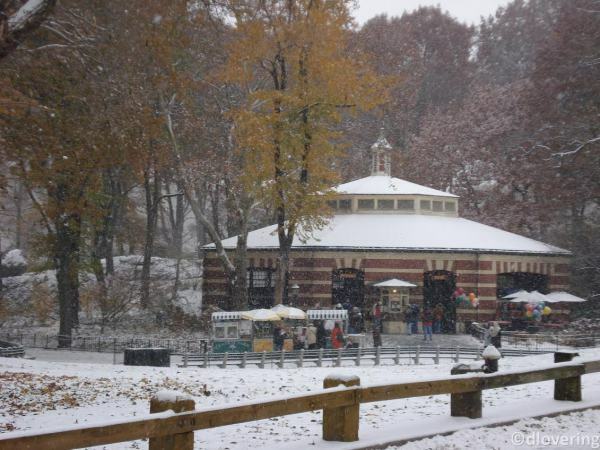 A peaceful scene – a park, fall leaves, a light dusting of snow. What could possibly be wrong with this picture? In the months following the detonation, the skies burned with gas and toxins. Anything above ground in the blast zone was obliterated, vaporized, gone. Thousands of miles away, groups made the first foray to the surface. Alison volunteered to step out into the gloom. A park, a gazebo, her life as it used to be – the scene was deceptively calm, mocking her. It was late August, but nuclear winter dusted the ruins with ash-laden snow, choking out whatever life remained. Calendars lost meaning, seasons were abandoned. Alison knew the hope of Spring was a dream lost in the ash. I enjoy a good post-apocalyptic tale now and then. Nice work, Erin. A somber story but quite feasible, given the times we live in. But spring should stay. Always. A story that could be less than fiction. Ominous ..!!! Scary. But there’s still life, maybe they can endure. The scene reads very real. She must have felt like Noah’s raven or the canary in the mines. Very well-described! Makes one think! I enjoyed this quite a bit. Oh my…how sad life would be without the hope of spring. Very good. Great descriptions and atmosphere. I went apocalyptic this week, too.